Gorgeous pillow! Love the black and white pattern- got two and delivery took a little time, but all in all super happy with these pillows. Wish there was a pattern on the back. 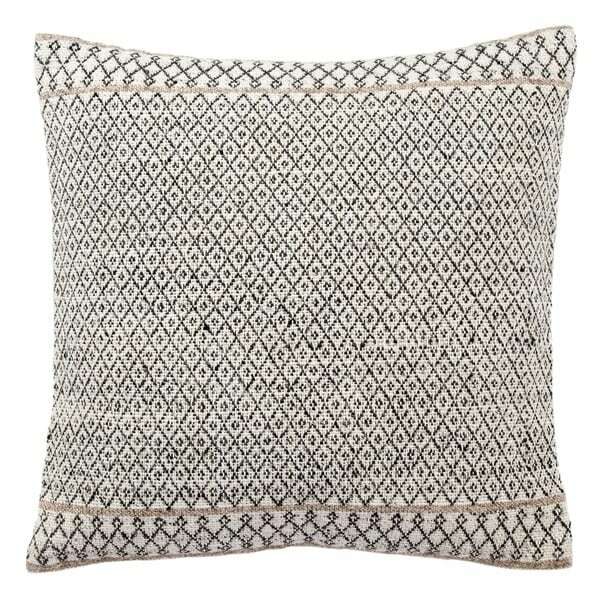 Global influences: Mix ethnic patterns with Eastern European folk art and the result is a stylish pillow with an eclectic look in gardenia and raven. Received 2 of these throw pillows today to match a new area rug. They are nice quality! However, the black in the print appears more gray than I anticipated. Still matches my decor great! Very happy with my purchase! Great throw pillow. It is as pictured. The woven material is soft to touch but holds well. It could be stuffed a bit more full for my tatstes but it is sufficient. Nice 'sturdy' pillow, but distracting irregularities in the weave of the cover fabric. I returned it for a replacement but have yet to receive it. Hopefully it will meet my previous expectations.